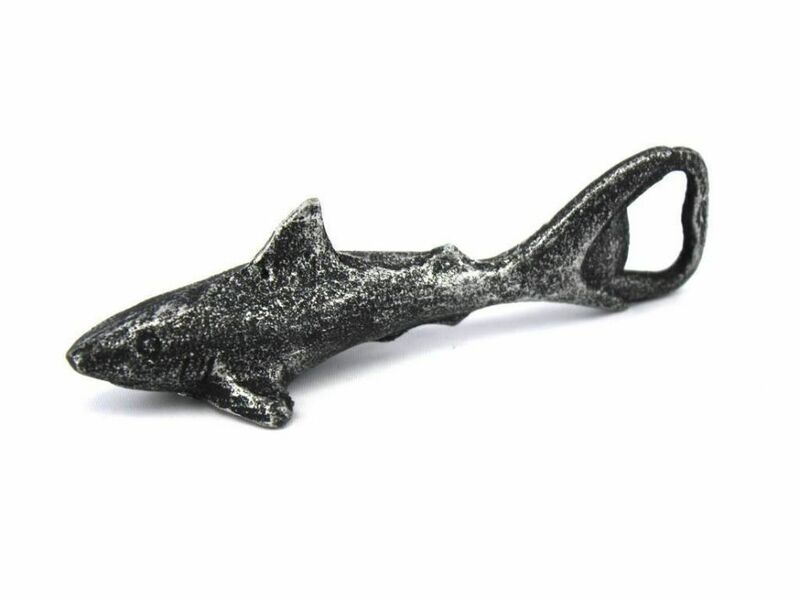 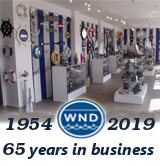 The Hampton Nautical Antique Silver Cast Iron Shark Bottle Opener 6" is the perfect addition to any nautical themed kitchen. 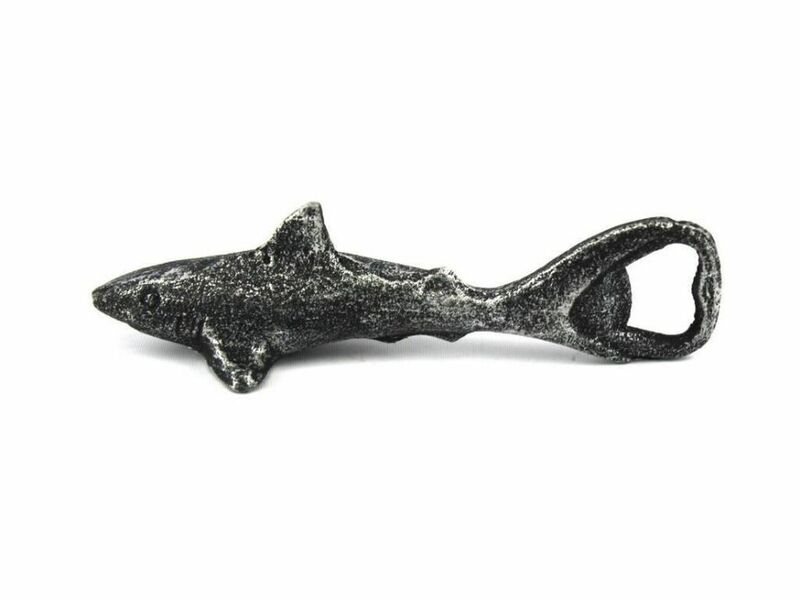 Add functional style to your cocktail hour with our shark bottle opener. 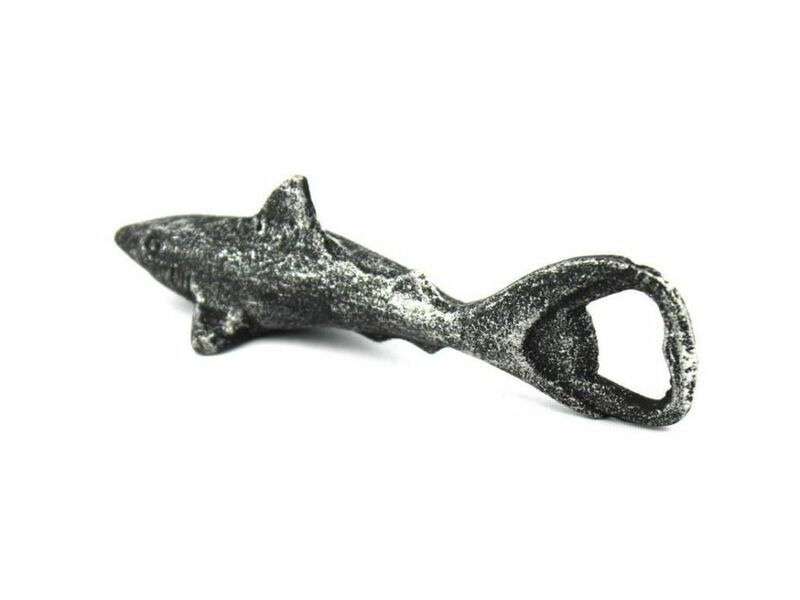 A high-quality foundry cast iron replica perfect as a gift to yourself or anyone who appreciates retro art.